Will Android Become the Next Desktop Gaming Platform? Today, more people play video games than ever, and many of them play mobile games on their Android and iOS devices. While most of them stop at puzzle games, casual games, and those you can play at Wildjacks Canadian mobile casino, this doesn’t change the fact that smartphones are among the most used gaming platforms today (and the most lucrative, too). Most players consider mobile games to be “less serious” – and they are right, as smartphones don’t offer the same level of detail and the possibility for the same immersion and dedication as desktop games. But all this could change in the future. Among the many innovative solutions Samsung has presented with its new S8/Note8 series, there is one that stands out: Samsung DeX (short for Desktop eXperience). Basically, it is a dock that can be used to connect an S8/Note8 series smartphone to a large screen, a keyboard and a mouse, turning it into something similar to a desktop computer. At first, it looks like an office PC, not entirely dissimilar from what Microsoft presented two years ago (it was called Continuum). And its advantages for work are the most obvious: users will be able to carry around all their documents, email accounts, and applications wherever they go, and use them whenever they need (and have access to a large screen, a keyboard, and a mouse, like basically in any workplace all over the world). But the possibilities of DeX go way beyond spreadsheets and presentations. One of the best things about smartphones is their amazing variety of apps. With the number of smartphone users being incredibly high, all services now strive to be mobile. This includes music and video streaming services, too, like Netflix, Amazon, Spotify, and their likes. This makes smartphones a prime portable multimedia device – and with DeX and the products that will no doubt follow its lead, it can turn them into a home entertainment device, too. After all, why should you watch a movie on your phone and tablet when you can hook it up to your large-screen TV and watch it on that? This will be especially useful when away from home, at a hotel, for example. Home entertainment can become completely portable in the future. Smartphones today have a high-performance hardware that makes them capable of more than just snapping selfies and watching videos. They are capable of running stunningly beautiful games, too – and this might make them a contender for a slice of the desktop gaming business in the future. 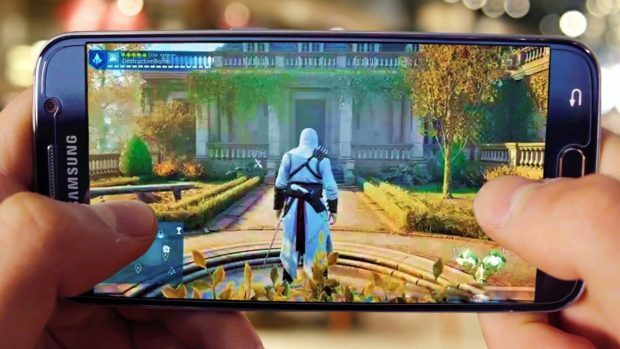 With adapters like DeX aimed especially at gamers, developers could combine the flexibility (and in-app purchases) of smartphones with an experience reserved for desktop gamers until now. Soon, players may be able to start playing a game in desktop mode, seamlessly switch to smartphone mode when leaving home, and return to desktop mode once they are back. Smartphones certainly have the power to do that.